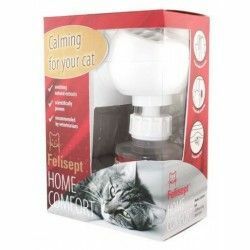 The spray Felisept Home Comfort is a product that is clinically proven to help relax cats in stressful situations. With this spray you can avoid that your cat has an undesirable behavior when there is a change that affects you, such as a move, a new partner, the noise, or territorial matters. Felisept is also indicated to be applied to the rear rack in order to reduce the stress of cats on long trips or for visits to the vet. This product makes your cat stay calm thanks to the nepetalactona, a natural substance that contains catmint (Nepeta Cataria). 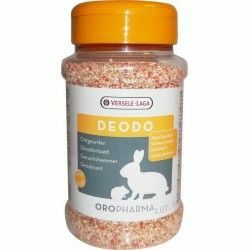 Therefore, you don't have to worry about the health of your cat because this product recommended by veterinarians is harmless, since it does not contain artificial components or synthetic. In addition, the natural odor encourages the well-being of your kitty. 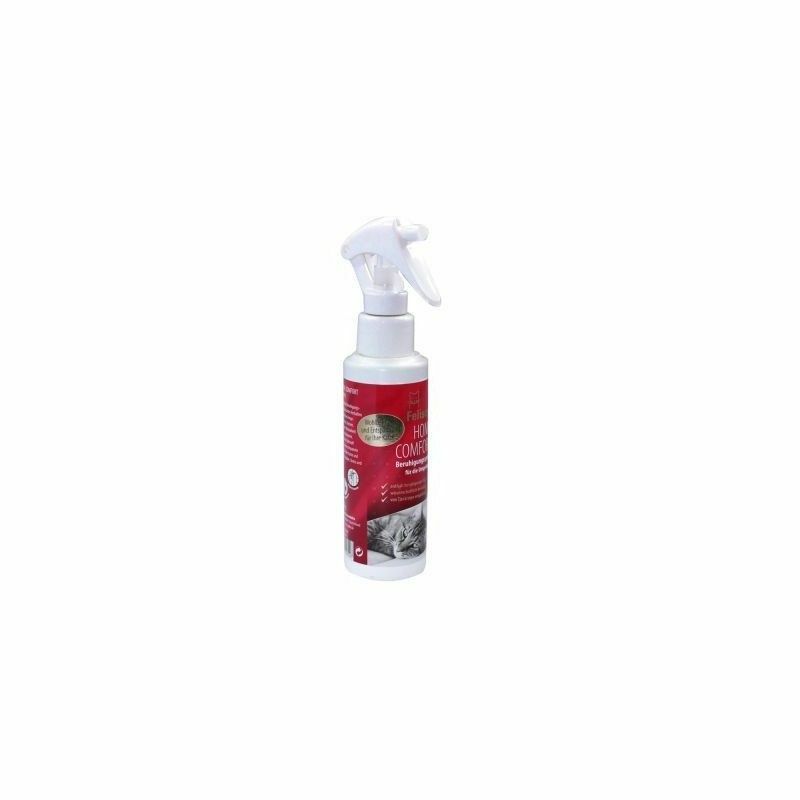 This spray controls and decreases the unwanted behavior from your cat, such as scratches, fears, irritability, marking, biting and lack of appetite. Apply the spray every day in the sites in which your cat. Take advantage of its soothing effect for visits to the vet or long trips to spray it inside the rear rack. Apply the product on the rear rack, the bed of the cat, scraper or other of their preferred areas each day so that the effect is long-lasting. Hold the spray approximately 10 cm from the site that you are going to spray. It is necessary to clean with a neutral detergent and urine-marked areas before you apply the spray Felisept. For long trips, and visits to the vet, spray the product all over the inside of the rear rack, that is to say, for all the walls and corners, the ceiling and the floor.